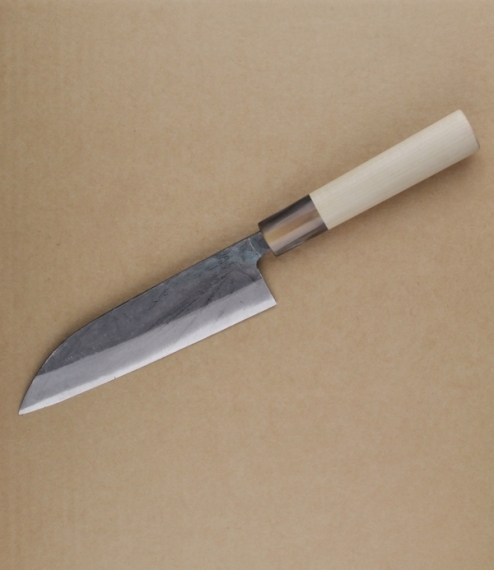 Santoku means three virtues, referring to this knife's versatility, the mincing slicing and dicing of fish meat and vegetables. With a lambsfoot pattern giving it an almost flat blade it is used with less of a rocking action than European knives, with a simple straight down cut. These should always be used on a wooden or plastic boards, and wiped and dried after use to protect both the hard carbon steel edge, and the wood of the handle. About 61 HRC. Blade about 18cm, overall length 31.5cm. 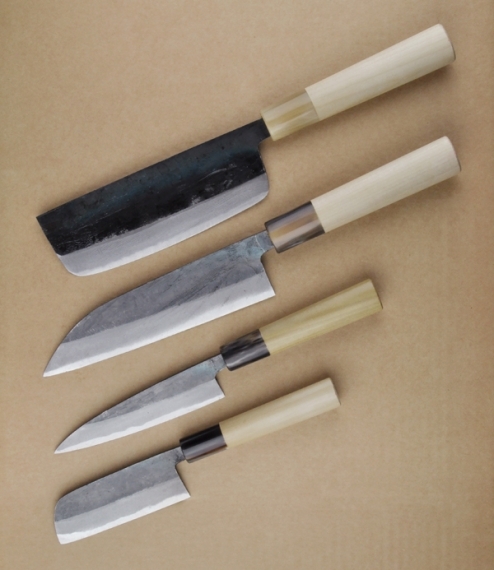 You can find out about the use and care of these knives here.